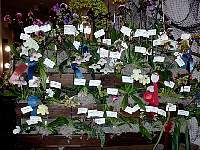 Click on the thumbnail to see the large version of the photo. 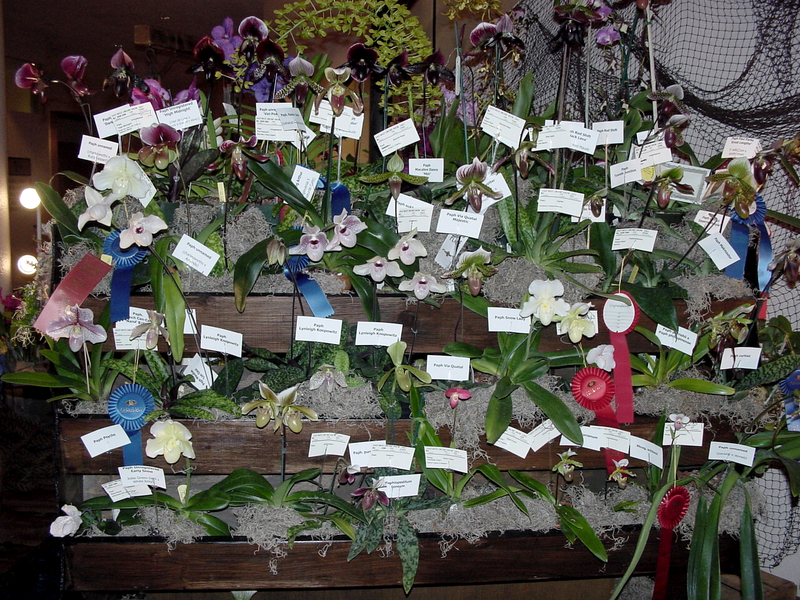 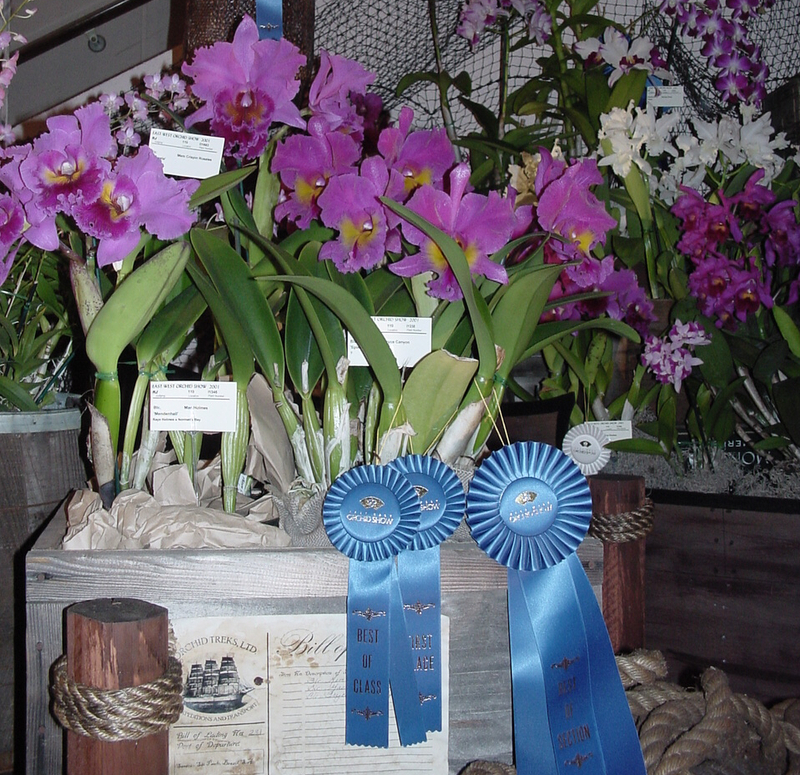 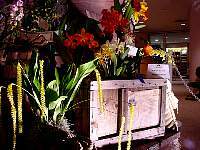 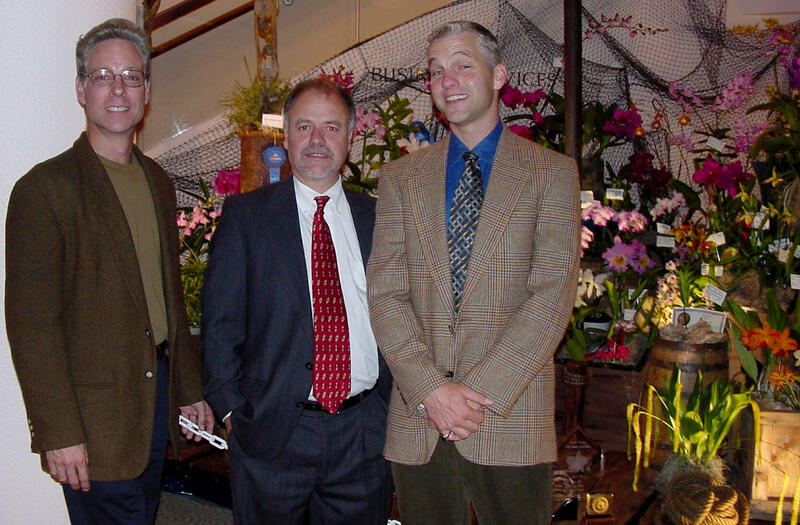 OSSC's trademark "Wall of Paphs" won numerous awards, including Best Paphiopedilum Display from the CSA. 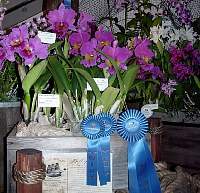 A crateful of awarded orchids! 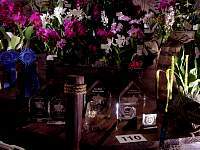 We needed extra people just to hold all of the awards! 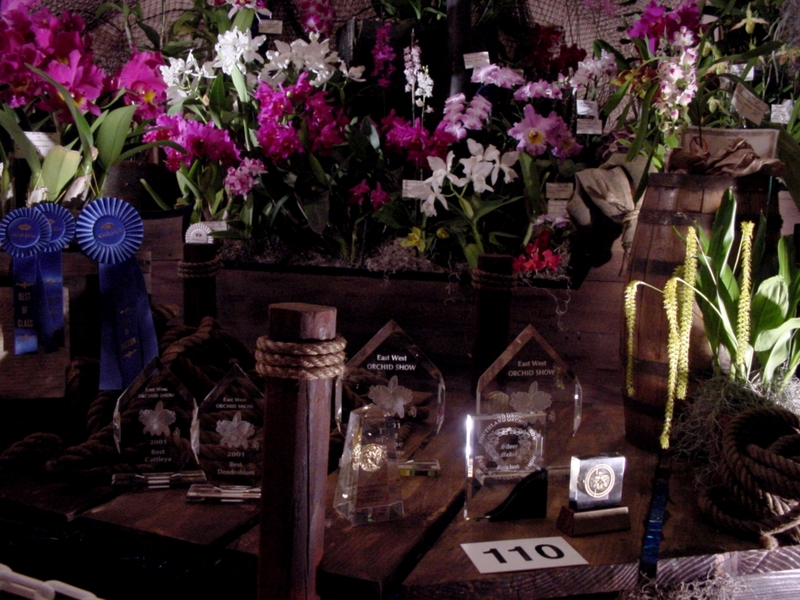 The many awards in front of the display.